Our aim is to make your stay most enjoyable. Moonrakers Cabana is a purpose-built luxurious cabin that provides excellent value for money. 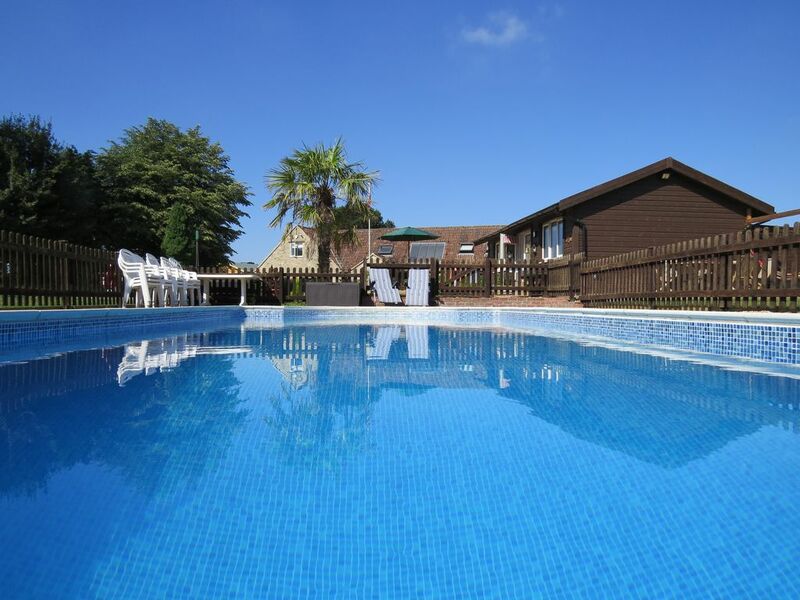 Set in an oasis of peaceful Somerset countryside, the Cabana accommodates four people comfortably. The centrally heated Cabin has one double bedroom, a lounge with sofa-bed, shower-room with WC, an extensive kitchen with breakfast bar and an open-plan dining area. It is fully equipped for self-catering with bedding, towels and essentials, TV, DVD provided. The Cabana is cosy year-round with central heating when required. The kitchen is well equipped and has a fridge/freezer, microwave/oven, hob, kettle, toaster, crockery and utensils provided. The Cabana includes television with DVD player, plus a Bluetooth sound system. There is a selection of DVDs, CDs and books available to borrow whilst staying. In addition, there are a few board games for rainy days. We also have a selection of phone chargers available should you need to borrow one. We often have a few sheep and pigs at Moonrakers, in addition to a friendly Labrador dog and chickens. Moonrakers is surrounded by farmland, which normally has cattle grazing on the adjacent fields. Unfortunately, due to the presence of animals, we are unable to accept any pets. Health & Safety. The Cabana is fitted with a smoke detector and fire extinguishers. There is a First Aid Box provided. Guests are provided with a Health and Safety briefing on arrival. The building is strictly non-smoking but we do provide a smoking area. The Cabana itself and car park area is covered by CCTV to enhance the safety and security of guests. * - Those items marked with an asterix (*) are subject to conditions and are seasonal – conditions available on arrival. My aim is to make your stay the most enjoyable it can be. I look forward to meeting you soon. Best wishes, Rebekka. Moonrakers Cabana is a purpose-built luxurious cabin that provides excellent value for money. Set in an oasis of peaceful Somerset countryside, the Cabana accommodates four people comfortably. Swimming Pool, private grounds and ponds to exlore. Absolutely fabulous in every way. Nothing to fault - Thank you for making us so welcome. Can't wait to come back. An amazing cabin - fully equipped and in a great location. Lovely hosts. The cabin is ideal for a couple or family of four. We stayed for one night - it is immaculate in every way and it had everything we needed. Great shower too!